1º.-on the ownership of the domain and page. 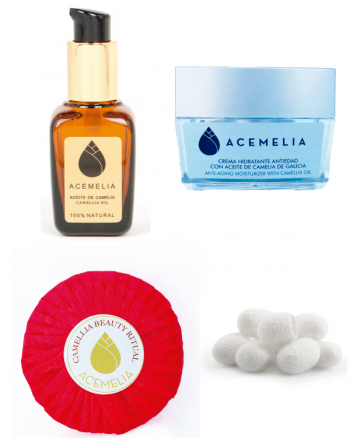 In fulfillment of the law 34/2002, of 11 July, services of the information society and electronic commerce, it is indicated that the present page, acemelia.com is owned by Acemelia with registered address at C/Rosalía de Castro 52, Vigo and DNI 77411319N. 2º.-on the content of the page. This page aims to the promotion and sale of products in her collection. Owner, is the owner of the page of all the products displayed, and boasts of the exploitation rights of many pictures, texts and data are disseminated on this page, acting with sufficient license granted by its authors. All images and artwork are legally registered, and the copyright of the authors gives them protection, both by the Spanish legislation, and by the community; and may constitute an offence under the penal code its infringement. Prohibited all dissemination, distribution and copy; lucrative or onerous, both referred to the products offered, they stamped images, and any images, texts, and data collected directly or indirectly on the website and web pages. In defense of the rights of intellectual property and brand, and copyright, authors whose works are exhibited in some way on the page, can bring all claims that they deem necessary, according to the guarantees laid down in the law of intellectual property. All this without prejudice to actions that matter for the owner of the page in defence of their own rights and that gives ownership of the page and domain. It is the duty of the user the diligent and responsible use both Web site and its contents and the links that may exist. The owner of this site has no responsibility for the content of the links that this page can take step. The prior registration of the buyer is necessary for the acquisition of products. The data requested are essential for the management of the purchase and have a purely commercial aim, and to allow the execution of the requested services or send information material in the case of prior consent. The treatment of the data fits the requirements of the data protection Act (organic law 15/1999), Acemelia being the company responsible for the file and file duly entered in the register of the data protection agency under the name of customers. The exercise of rights of access, rectification, cancellation or opposition can be at the address designated at the start as holder of the domain name and website. The price of the products includes taxes and taxes that may be applicable. Payment by bank transfer the purchase shall not be considered completed until the confirmation of the same. Since then will proceed to the order management. In case that in two days is not confirmed transfer will void the sale, and the chosen product will again be put on the catwalk of offer. The transfer is the most secure payment system because at any time the data are entered via the Internet. Payment porsistema Paypal secure payment gateway. The payment through this system can be made by bank transfer or by any of the major credit cards (Visa, MasterCard, 4B…) supported by this system. Payment with credit or debit card through a gateway secure payment in direct contact with the Bank Banco Popular. Once paid within the period of five working days will be sent the product through the carrier chosen by the buyer. The owner of the website is not responsible for the delivery problems that may result from the activity of transport (strikes, faults, meteorological impossibility…). The final invoice shall be sent with the order made. About payment: it declines any responsibility in case of a negligent performance of the buyer. The owner of the page has no responsibility on the management or collections that can be the gateway of payments, financial institutions and the stations of the means of payment accepted. Page holder meets all the rules laid down in the laws on buying and selling, both generals, as defense of users and consumers and e-commerce. About shipping costs: shipping costs are established depending on the destination and the carrier selected by customer. Amount is added to the price shown on the catwalk of sale. Should the customer wish to hire a transport other than those included in Acemelia.com wrrite to info@aceemelia.com before ordering. On delivery of the products: the delivery of the products is entrusted and will be managed by the company that the headline of the page choose. The owner of the website is not responsible for problems that may arise in the delivery resulting from the activity of transport of goods. Special cases delivery can be carried out by the own the page holder, previously agreed with the buyer. The delivery will be made at the address designated by the purchaser within the data provided in the registration form. Any modification will lead to that again caused shipping charges, which will be paid before the delivery of the product. Responsibility of the purchaser is the Act in good faith and review the product at the time of delivery. Claims beyond two (2) days will not be accepted after the delivery. In any case the seller reserves the right to review of the proper use of the product. About breach of contract: the contract holder reserves the right to cancel the sale in the event of any breach by the purchaser. In particular, in the case of payment by bank transfer, when there is confirmation of the same within the period of two (2) business days sale shall be deemed not made and the product will appear on the catwalk of offer. Claims: the owner of the page and the users submit disputes that may arise to the Spanish courts, establishing competition in case of complaints the holder in the of the town of Pontevedra. On the amendment of the conditions of use: the owner of the website reserves the right to modify the conditions of sale, in particular prices, costs and form of delivery. In any case sales will be adjusted to the conditions existing at the time of payment. About returns: all products may be returned within the period of seven days from the receipt of shipment, provided the products are in perfect condition and retain their original packaging. For this purpose send us the article with the delivery note indicating if you want to replace it with another article or that you return your money. 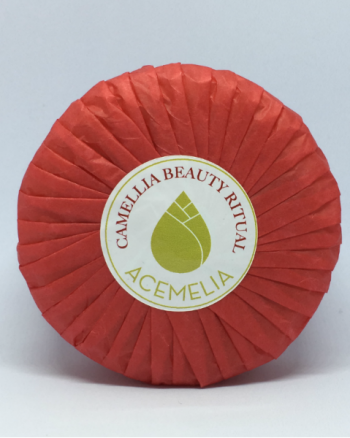 Acemelia can only be responsible for shipping charges that generate refund if this is due to our error to serve the order or is it a defective product. Shipping costs that generates new shipment (for a change) Yes shall be borne by Acemelia. Otherwise, shipping costs shall be borne by yourself.